As a new teacher, I’ve been told I should beg, borrow, and steal all materials I can get so as to not “reinvent the wheel”. I have found that this year, I have reinvented the wheel countless times, taken the wheel apart (kept what I wanted and trashed the rest), borrowed quite a bit, and screen-shot/stolen much! Currently, I am in love with this 2nd-year teacher’s work on foldables in math journals. She is extremely creative in making the journals not only colorful and interactive, but also great study guides for students! With foldables, students are given self-made vocabulary, math facts, questions, and definitions all in a delightfully organized way! Ugh, someday I will be cool like her. For now, I will steal her ideas to help jazz up the end of the year. I’m pretty stoked, and I hope my students will see this as a helpful tool as they “study” for their unit test on Friday. Today I played a game I’ve re-named as Zombie Apocalypse! My students loved the game! It helped them use some of their skills on evaluated expressions with exponents and develop new skills by seeing patterns and problem-solving. Everyone was involved as they did their own work on their personal whiteboard and the class quickly became a room of zombies with a few lone survivors. The game was amazingly simple and can be adapted to any topic. Read the description by Nathan Kroft in Out Rockin Constantly for more details! Here is a cool tool for solving algebraic equations! Use the balance scale to practice! So, I thought I’d share a good geometry resource I found! This video (and the others in the series) connects drawing (something my middle school kids are totally into) with geometry. The facts are solid, and the history is great! Teacher-candidates apply principles of differentiated instruction, including theories of language acquisition, stages of language, and academic language development, in the integration of subject matter across the content areas of reading, mathematical, scientific, and aesthetic reasoning. This means that as a teacher, I construct my lessons by student interest and readiness, carefully integrating new vocabulary and academic language. 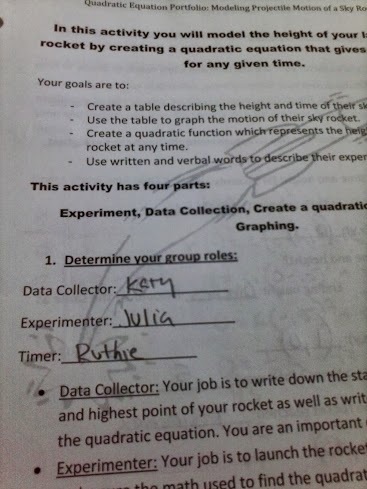 I have done this by creating an engaging activity in which student learn new concepts around quadratic formulas. In their reflections on the activity, students were able to use their newly acquired vocabulary with the language function of “describe”. 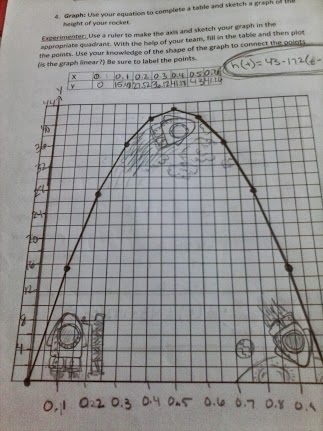 This lesson, as well as the student reflections, gave students the opportunity to develop fluency of the academic language surrounding quadratic functions such as parabolas, projectile motion, and vertex. In order to integrate the theories of language acquisition, this activity used principals 3 and 4. The exit ticket limited the forced output during the initial stages of learning new words as well as limited the forced semantic elaboration during the initial stages of learning new words. As I created this activity, I learned how to engage students in math content and inspire conversation around quadratic equations in a safe learning environment. 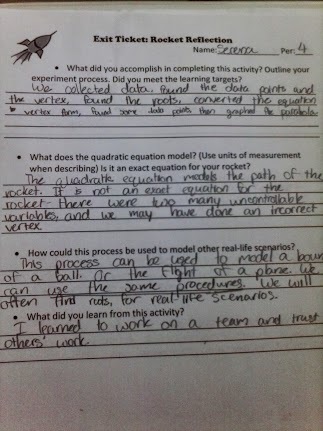 Students were able to learn the real-life applicability of quadratic equations by shooting a rocket and using an equation to describe its height. In the future, I would like to build on student reflections, by giving them personalized feedback. Teacher-candidates prepare students to be responsible citizens for an environmentally sustainable, globally interconnected, and diverse society. This means that teachers should teach in such a way so as to guide students to be responsible people in diverse society. In the math classroom, this includes thinking critically so as to solve real-world problems (such as environmental sustainability). As a math teacher, there has been numerous times in which my classes have engaged in problem-solving exercises and activities. 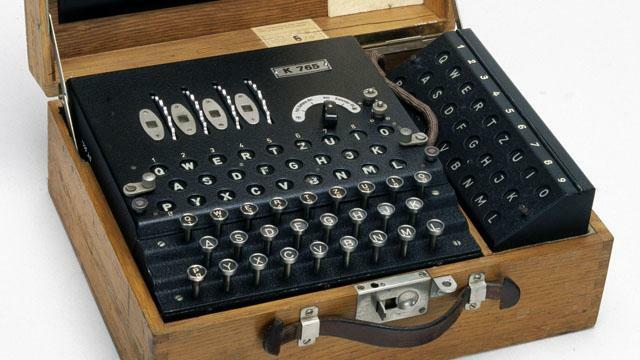 As a warm up before starting a unit on algebraic functions, I used a youtube video about the Enigma Machine. This machine was used in World War II to encode and decode messages by the Germans. The video, along with explaining the mathematics surrounding the machine, provided historical background and global facts surrounding the machine and its uses. The clip also explained how different countries had attempted to crack the code so as to intercept messages. This short film allowed students to think of mathematical topics as globally interconnected- a universal language. Following the films, students worked collaboratively to solve coded problems (functions with inputs and outputs) and determine the code (function rule). In working collaboratively, diverse students gained insight from multiple perspectives and were encouraged in their mutual respect for the skills of others (responsible citizenship). 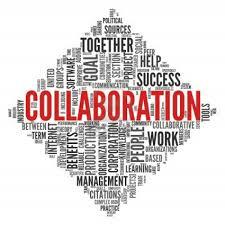 Through using the video as inspiration and encouraging group work, I learned the power of collaboration among students and effective ways of motivating student learning. In the future, I would like to use this video as an inspiration for students to write more about what they learned and express their understanding in written reflection. Teacher-candidates participate collaboratively and professionally in school activities using appropriate and respectful verbal and written communication. Teacher-candidates participate collaboratively and professionally in school activities and using appropriate and respectful verbal and written communication. As a teacher, I must be able to work cooperatively with school staff and faculty. Throughout faculty interactions, I must not only be professionally appropriate, but also ensure that my tone and words communicate respect. This data analysis focused on one of the Washington State Standards and described the ability levels of students on that particular topic. Through the analysis, we worked to also describe the effectiveness of the district in providing instructional materials which aligned to the same standards. In working collaboratively with faculty to create this analysis, I learned the power of multiple perspectives, gained insight from experienced teachers, and developed mutual respect for those I worked with. In the future, I feel collaboration will be key to my success as a first year teacher, but also as an effective member of the educational community.